It's peak breeding season. Watch the population build with each new generation. Monarch numbers will reach their highest when migration begins this fall. Look how far the monarchs have come! From 10 acres of winter habitat in Mexico, they have now expanded across more than 1 billion acres of breeding habitat. Monarchs live for only 2-6 weeks during the breeding season. All energy is focused on reproduction. 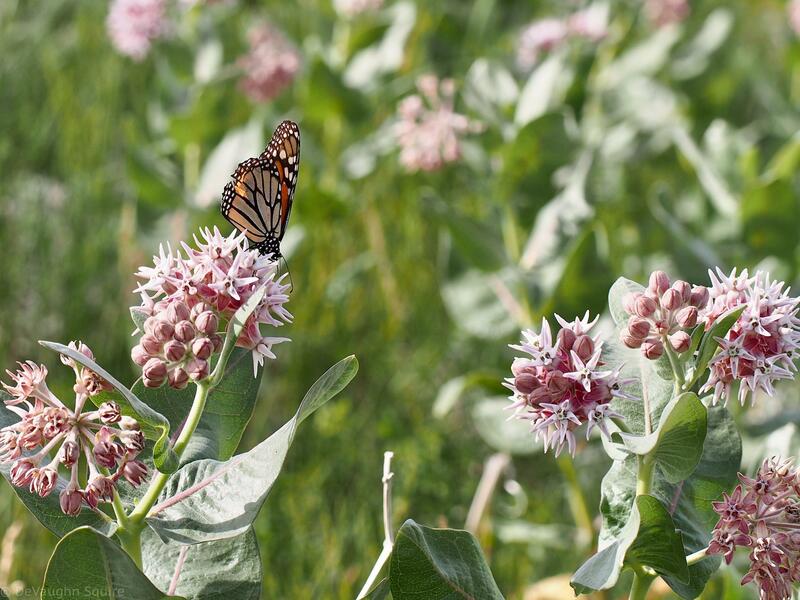 Females search for milkweed to lay the 400-600+ eggs they can produce in a lifetime. Males patrol milkweed in search of females for mating. Monarchs can produce a new generation in about 1 month, resulting in as many as four generations during the typical breeding season. The population grows with each new generation so monarchs become increasingly noticeable as the summer wears on. This fall, the monarchs that migrate to Mexico will be 4th generation butterflies, the great-great-grandchildren of those that left Mexico last spring. Monarchs born after mid-August will likely be part of the migratory generation. Get ready to watch for signs that the monarchs are on their way to Mexico again. Report all monarchs you see — adults, eggs, larvae.